A massive Redwood tree in California had stood tall for 400 years, surviving countless earthquakes, storms, floods, and other violent natural disasters. But one day, without warning, this massive tree came crashing to the ground with a tremendous thud. No one knew why. A lumberjack didn’t bring it down. A bolt of lightning didn’t cause it to fall. After close investigation, the answer was revealed as to why the ancient tree had died. Tiny beetles had worked their way into the trunk and ate away at its life-giving fibers, weakening the tree’s mighty bulk from the inside out. What powerful lightning could not do, little insects did. In the same way, the devil seeks to bring down Christians through a steady drone of small, seeming insignificant temptations. On one front we pride ourselves with the fact that we don’t do this, or we don’t do that. But on the other front we are lowering our guard and compromising. When was it that this world started becoming more attractive to you than your Christian life? Did it start when you decided to mow the lawn on Sundays instead of going to church? Or when you got more excited about the latest movie than about reading God’s Word? Whatever it is, that old emptiness will return, because slowly but surely, you have been compromising and going in the wrong direction. Left its seeds while I was sleeping. . . .
Little things turn into big things. So don’t lower your guard and fall for this trap. When compromise gets into your life, you will start going downhill. Summary sentence: Temptations and compromises can come in small things: Watch out! Your gift today, whatever the size, will bring the gospel to people through Harvest America and the outreach efforts of Harvest. 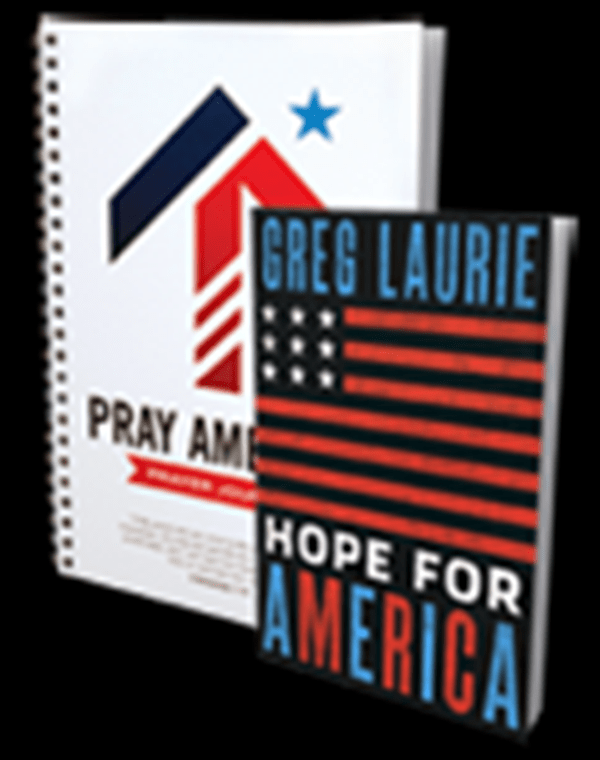 In appreciation for your gift of investment today, you can receive both Hope for America and a companion resource titled Pray America Prayer Journal. The only way America can really experience a spiritual awakening is through prayer, so this prayer journal makes a great companion piece to Hope for America. It was written by my wife, Cathe, and I know that it will help you get started in praying for your country, for yourself, and for those around you.